Join us November 10th at Piedmont Park for the 4th annual DAV 5K. 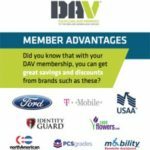 The DAV 5K is a run, walk, roll and motorcycle ride that thanks those who served and raises awareness of the issues our ill and injured veterans face every day. 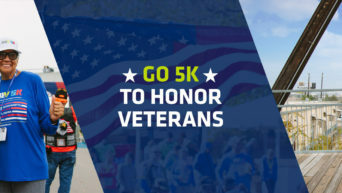 The DAV 5K raises funds to ensure our injured heroes are not alone on their road to recovery. By participating or donating, you will honor the brave men and women who have sacrificed for our freedoms. The main event site is near the Charles Allen Gate & 10th Street entrance to the park. Run, walk, or roll (handcycle or wheelchair). 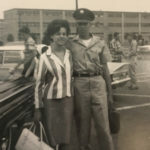 All veterans, active duty, reservists, National Guard and cadets are eligible. Shirt included in registration fee. Run, walk, or roll (handcycle or wheelchair). All veterans, active duty, reservists, National Guard and cadets are eligible. Shirt not included. All veterans, active duty, reservists, National Guard and cadets are eligible to ride. Shirt included in registration fee. All veterans, active duty, reservists, National Guard and cadets are eligible to ride. Shirt not included. Run, walk, or roll (handcycle or wheelchair). Ages 16+. Shirt included in registration fee. Motorcycle rider or passenger. Ages 18+. Shirt included in registration fee. Run, walk, or roll (handcycle or wheelchair). Ages 6-15. Shirt included in registration fee. For detailed information on Packet Pickup, the course, parking, and volunteers, click here!